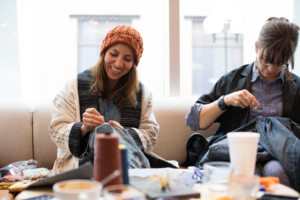 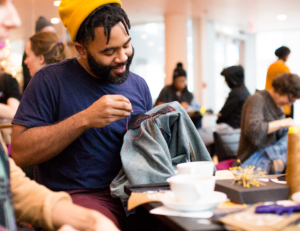 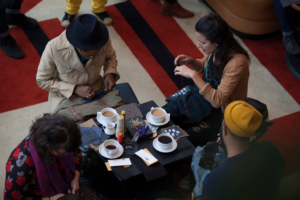 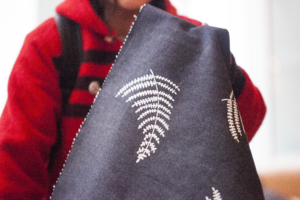 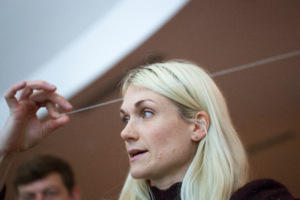 Sarah Yarborough & Victor Lytvinenko, creators of Raleigh’s homegrown denim & lifestyle brand Raleigh Denim and collaborators with The Durham brought needles and thread and led a hands-on mending workshop in the coffee shop on a snowy Saturday afternoon. 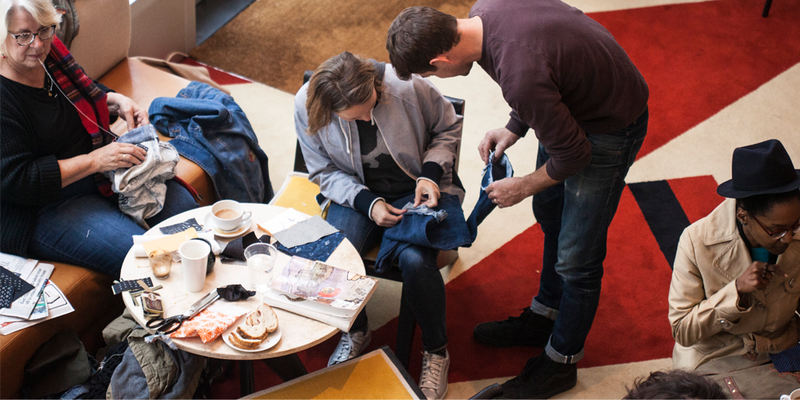 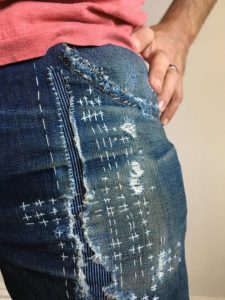 Guests brought ripped, torn, and patch-ready apparel learned how to mend what’s broken and hand stitch for style over coffee and cocktails. 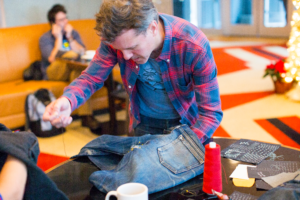 Screen printed patches made from remnant denim were provided by Durham textile artists Rivtak Handmade.